Big Merchant Bank of EvE (BMBE): one of the long standing institutions in EvE. They are mostly specialized in large loans. Block Ships and Ammunitions Corporation (BSAC): A large minerals reserve, hosts some of the few index based funds you may see in EvE. As of now the company might have ceased operations. Chribba’s 3rd party service: the most trusted and long standing 3rd Party Service in EvE Online. Grendell’s 3rd Party Service: the second most trusted 3rd Party Service in EvE Online. He also manages a very large financial operation, Grendell Investments, mostly aimed at raising large amounts of money to borrow to third parties. 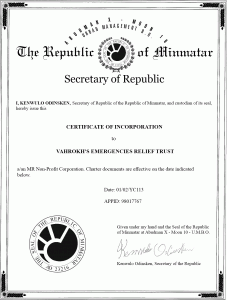 Vahrokh’s Emergencies Relief Trust (VAERT) : the only currently active Fund of Funds and the only established and Fanfest 2011 featured EvE Online Charity. One of the main reasons Vahrokh.com exists is to host its official web pages . The fund gathers donations through the years. 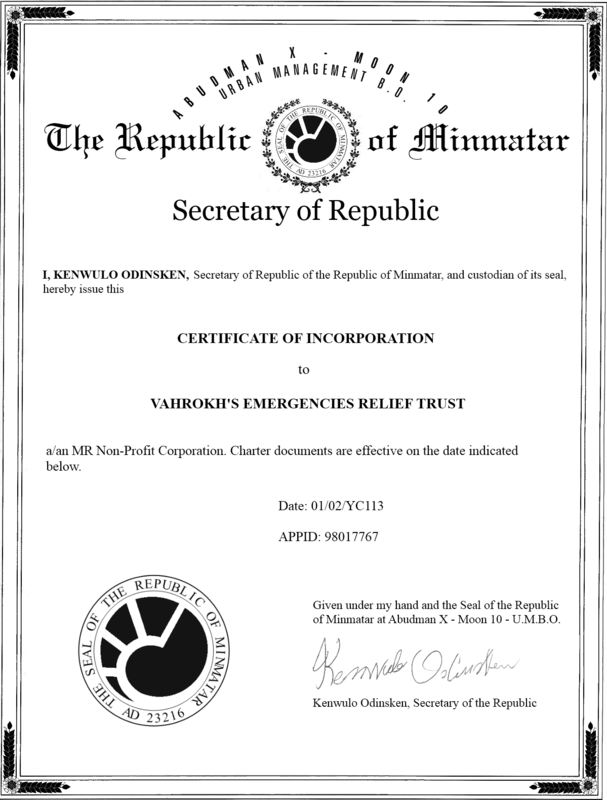 Once CCP starts an emergency relief initiative like this one, the fund converts its whole Net Asset Value (NAV) into PLEXes and sends them to the official CCP donations accepting character . EvE Central: the category forerunner. Enter any EvE item name and it will show its buy and sell orders on a server wide scale. Eve Markets: very nicely looking, it features real time quotes, tickers and markets statistics. Its data are fed by EvE Central. EvE Market Data: web site oriented to traders, it provides for a number of useful features: stations rank, deal finder, trade routes finder, minerals prices, shopping cart, orders outbid checker, hangar contents value. EvE tools: a multipurpose web site, featuring market statistics, some charts, products indexes, refine finder, trade finder, a real time updating top market hubs listing and more. EvE Online Market Data: another multipurpose web site, featuring trade margin finder and some other features like the other similar web sites. EvE Benelux Market: an in game browser web site that lets you find item prices across the whole galaxy. EvE-Profit: it shows your market transactions from your EVE Online character and calculates the profit on those (including taking the broker fee and tax into consideration) plus it shows your market orders and notify if an order has been filled. NEAT Eve Accounting Tool: is an accounting tool for Eve-Online. It helps you to keep track of your investments, calculates your profits and displays them graphically. It comes with plenty of features, detailed on its web site. Loyalty Points database: lists all the faction items and their costs. Not exactly a “pure” trader web site but traders dealing with faction items may have good use of a repository where to check whether their money is better spent in acquiring an item or its components. EVE Character Appraiser: a niche web site for the character traders. Given the API key, it estimates the character value.